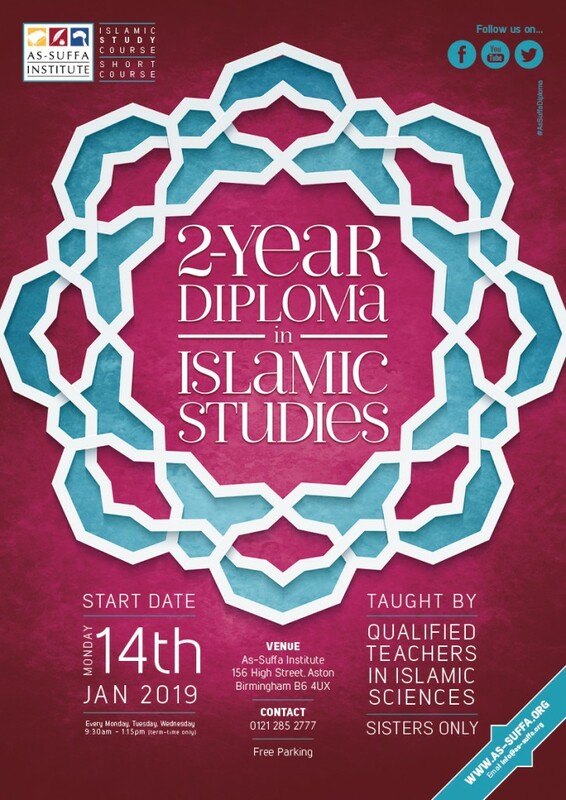 As-Suffa Institute are offering a unique, comprehensive two-year diploma programme covering a breadth of Islamic disciplines in the English language. It is an intensive course designed to equip the learner with a broad and deep understanding of the Islamic sciences, and is taught in the English language to aide comprehension and application for those who are not able to commit to study of the Arabic language. Modules in the second year will build upon those studied in the first year, progressing in detail and depth. Also added will be the Principles of Fiqh & Hadith (Usool ul-Fiqh/Hadith), Evolution of Fiqh and History of the Muslim Empire. This is an excellent opportunity for all those who wish to gain a deep insight into the fundamentals of the faith and the necessary skills required to implement and impart your knowledge. You will be taught by qualified teachers who will guide you through every step of your learning journey. Upon successful completion of the two-year programme you will receive a certificate marked with the As-Suffa Institute logo of excellence.